Including a ‘Venom’-decorated Alpha Industries MA-1 bomber. BAIT and PUMA have joined forces again, this time taking aim at yet another Marvel movie. Earlier this year, the duo linked up on a Black Panther pack, releasing creative reworks on the Mostro Mid and Tsugi BOG, respectively. And now, with Venom set to make its box office debut this week, both imprints have put their creative brain trusts to work on the aptly named PUMA Cell Venom. 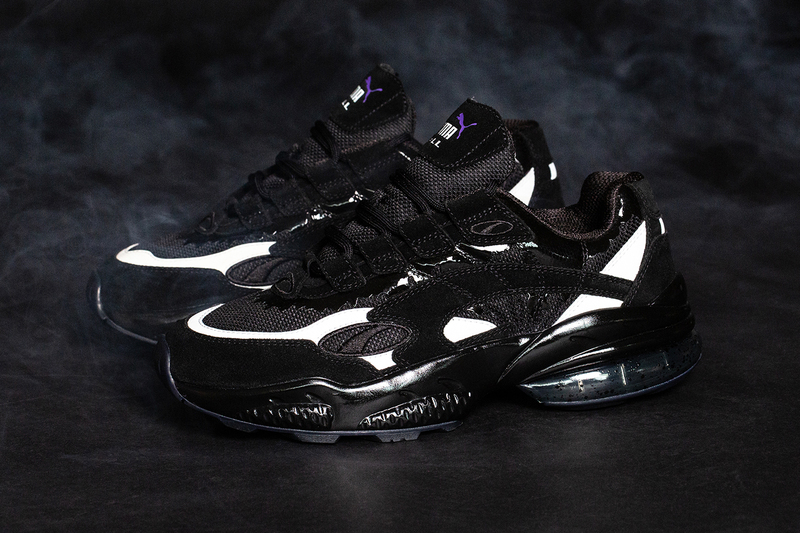 Dressed in black and white, the uppers take on a premium suede and engineered mesh base with a tonal black silicon pattern dripping down from the lacing system, symbolizing the venom symbiotes taking over its host — as does in the film. Housed inside on the footbed is Venom-inspired artwork, complete with Marvel and BAIT branding. Lastly, a reversible MA-1 bomber jacket designed in tandem with Alpha Industries rounds out the themed offering. Venom branding lands on the chest region with a large spider graphic hitting the back of one side, while an image of the alien character’s face emblazoned on the other. Both the sneakers and jacket will drop at BAIT on October 4 to coincide with the film’s release. In other sneaker news, Kendrick Lamar’s Nike Cortez Basic Slip is expected to launch this month. Inspired by the FTR 750 race bike. Including superheroes, a skateboard, frisbee and many more. Its lenders have cancelled a bankruptcy auction. 1TakeJay, Rucci & AzChike Represent the West Coast's New Style on "Tax Season"
Three of the LA area’s most talented up-and-comers unite.